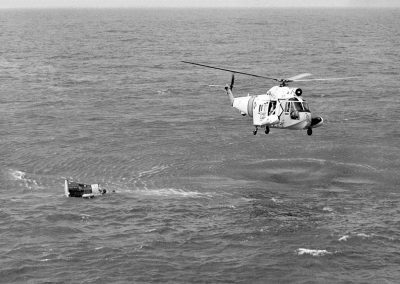 The Coast Guard Aviation Plan of 1957 called for 79 medium range helicopters capable of proceeding offshore at a reasonable speed to a distance of 300 nautical miles, hovering for 20 minutes while picking up at least six survivors and then returning to base with a fuel reserve equal to 10% of the initial fuel load. Options were limited at the time. Sikorsky had designed, a single engine, turbine powered, amphibious helicopter designated the S-62. The S-62 had been designed for the commercial market but was not purchased in great numbers. 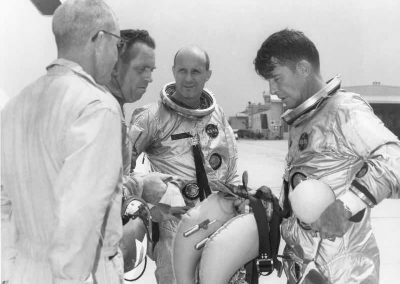 The engine was deemed too big and expensive and passenger carrying capability was limited. None of the other military branches had been interested in it either. The S–62 however, had features that were desired by the Coast Guard. It floated on an amphibious hull, it had turbine power, had a large main cabin and it was built utilizing proven components. The automatic stabilization system used on the S-62 was a scaled version of the larger S-61 (SH-3). The rotor system came from the S-55 (HO4S), as did most of the drive system which had already proven to be reliable. The assembly was design limited to 730 shaft horsepower. Small jet engines suitable for helicopters were rare and not available at the time. Sikorsky solved the problem by using a 1230 SHP General Electric T-58-GE-8B engine and derating it. With the extra 500 HP worth of air capacity on the front end density altitude was not an operational problem. 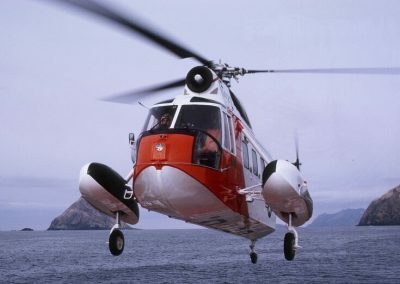 The Coast Guard needed a helicopter and Sikorsky needed to sell the S-62. 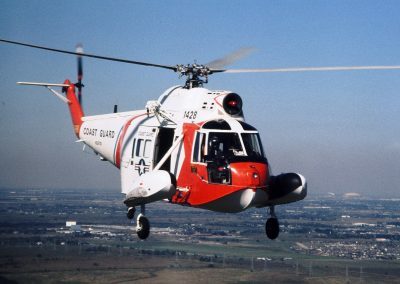 Unlike Department of Defense agencies, the Coast Guard could buy a non milspec aircraft. 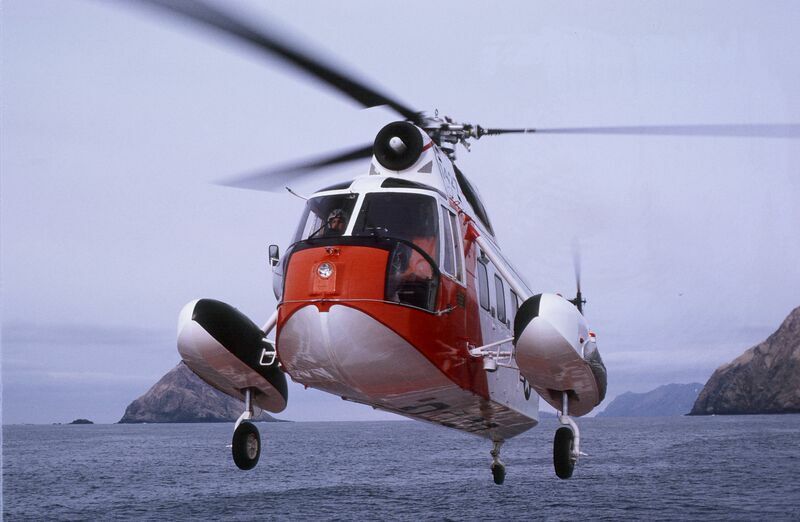 Sikorsky approached the Coast Guard and offered the S-62 agreeing to test the S-62 at the manufacturer’s expense. 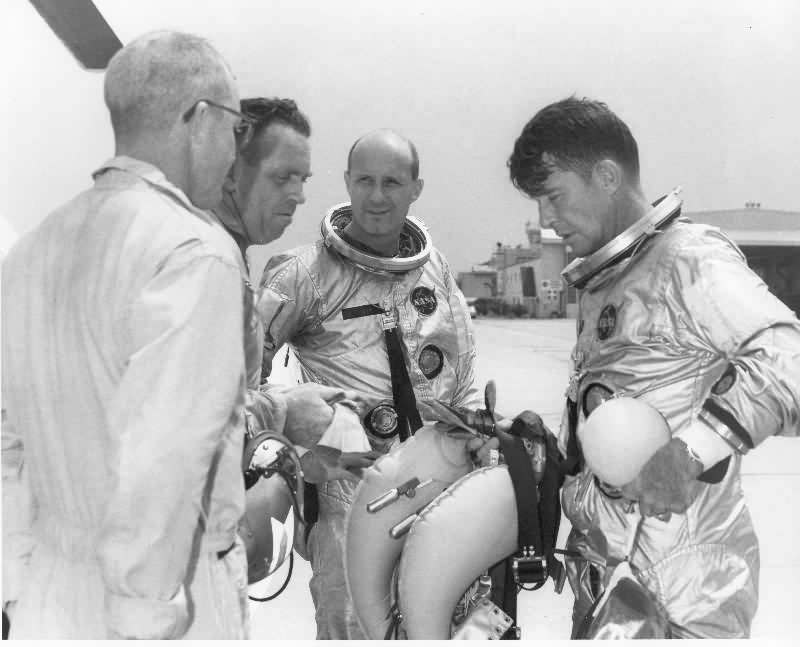 The Navy test facilities at Patuxent River Maryland were utilized and LCDR Frank Shelley USCG, a graduate of the Navy Test Pilot School, was assigned to the project as test pilot and program coordinator. Shelley worked closely with Sikorsky Aircraft in the initial and test phases of the HH-52. He designed and set up the test program. The helicopter performed well and the Coast Guard signed on. Originally designated the HU2S-1G it became the HH-52A. It had a rotor diameter of 53 feet, a range of 474 miles and a top speed of 109 mph. It was an extremely flexible rescue aircraft that could fully perform missions with a minimum crew. It was well suited for night and all-weather flight. 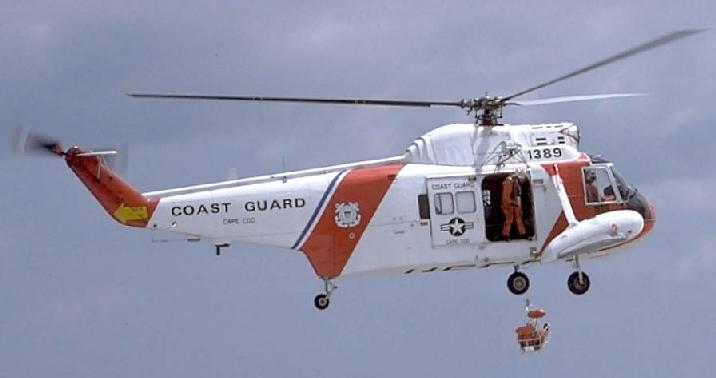 The HH-52 had a hydraulic hoist and carried a rescue basket. The cabin could accommodate up to ten passengers or six litters. It was fully amphibious and was equipped with a removable foldout rescue platform that looked like a large extended step. 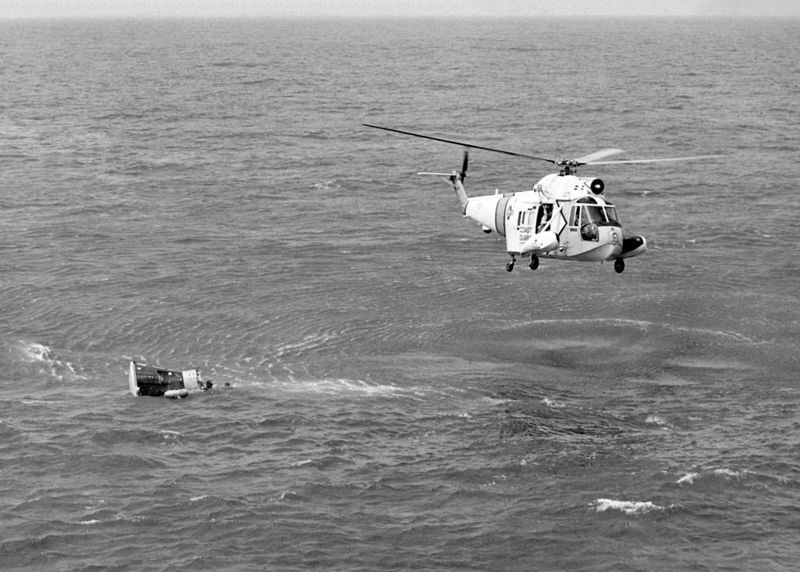 It was a rectangular grid that sloped slightly downward beneath the water’s surface when the helicopter was afloat. Incapacitated survivors could be scooped or dragged onto it greatly facilitating their rescue. 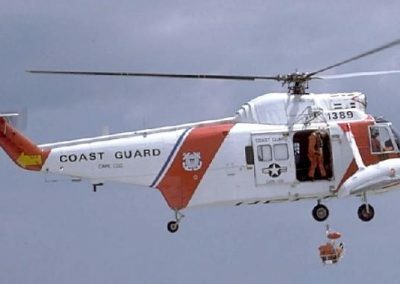 The HH-52, with over 15,000 lives saved in its twenty-six years of service, has the honor of having rescued more persons than any other helicopter in the world. This little helicopter, a unique assemblage of proven parts, comfortably behind the cutting edge, performed astounding feats in thousands upon thousands of occasions. It became the international icon for rescue and proved the worth of the helicopter many times over. It had an enormous impact on Coast Guard aviation.